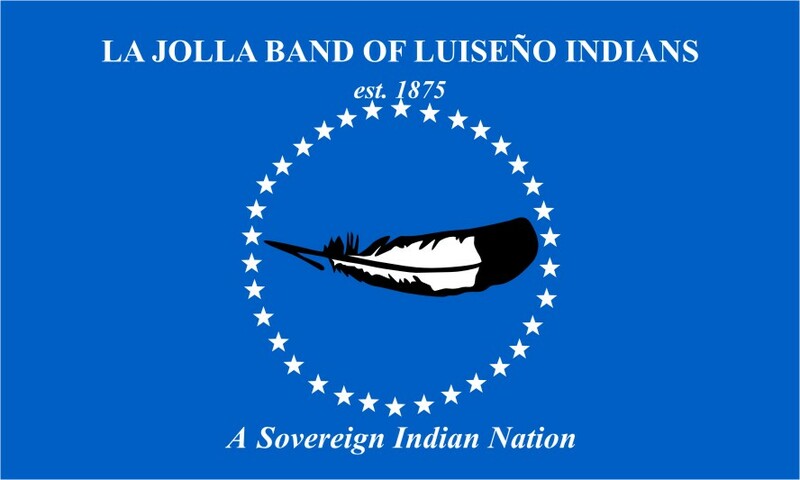 In honor of the Wampanoag Tribe’s role in the first Thanksgiving in 1621, we are going to take a look at a selection of Native American flags from various tribes and bands. 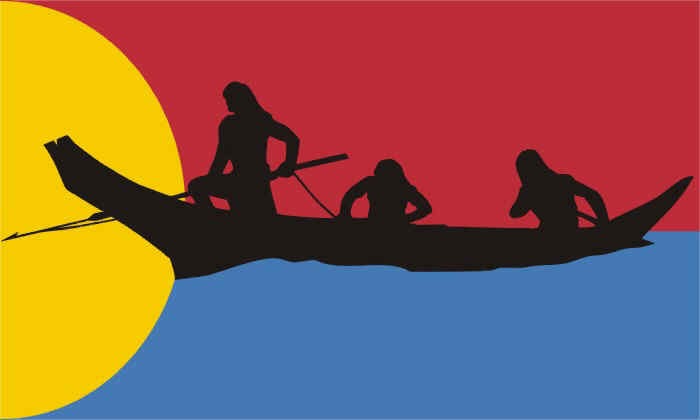 The concept of modern flags stems largely from European naval tradition, so the vast majority of Native American flags were created after Europeans had colonized the Americas. 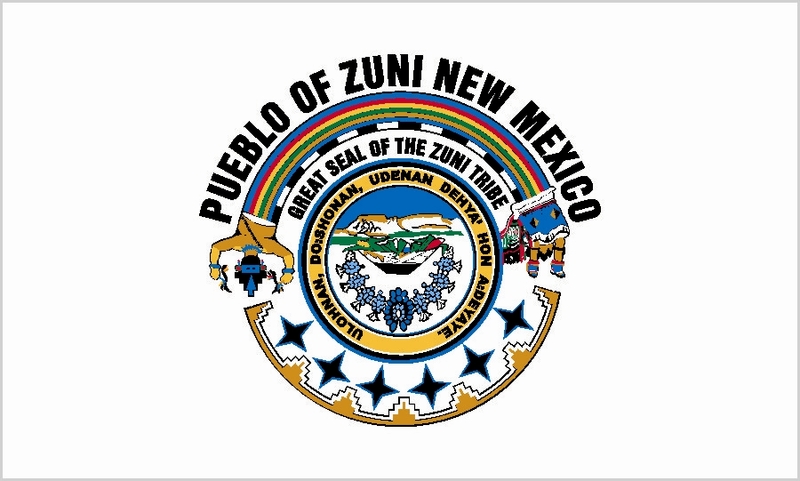 Unfortunately, this means that most Native American flags follow the poor flag design tradition of many North American cities and states; a seal on a one-color field. 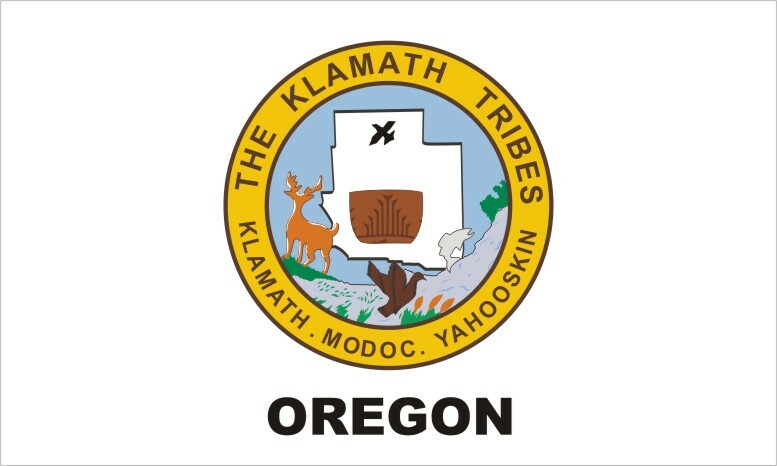 Exhibit A: Flag of the Klamath Tribe. I chose to exclude those, because as we know from what makes a good flag and my state flag ranking, those are nothing special to look at. 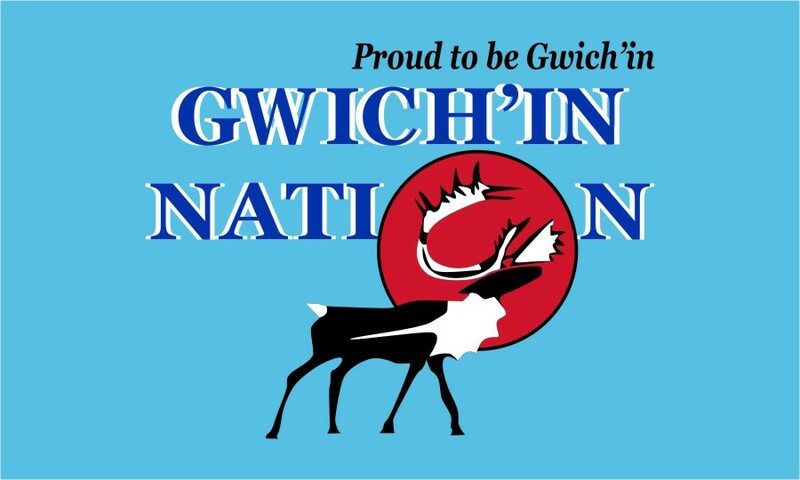 The first few flags you will see are the Native American flags that are a special kind of bad that break most, if not all of the best practices of flag design. 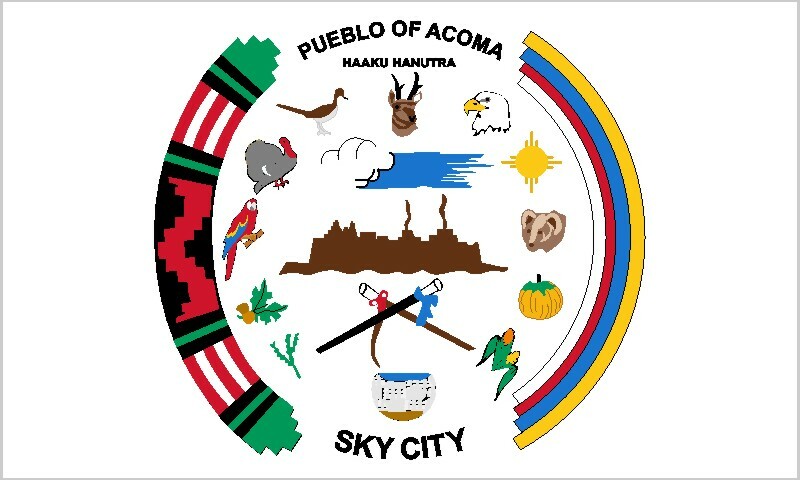 While the border on the left of the circle is neat, the placement and clipart-esque elements in the middle makes this flag look like it was made in MS Paint. Is the eagle part of the land? It looks like they tried to flesh out this concept but stopped half of the way through. Plus there is just way too much text on this flag. At least one of the words is “bad”. Leaves and acorns, we get it already. This wouldn’t be so bad if the feathers didn’t all have text on them. Plus, if you are really going to commit to all that text, make sure it’s a color that you can see. 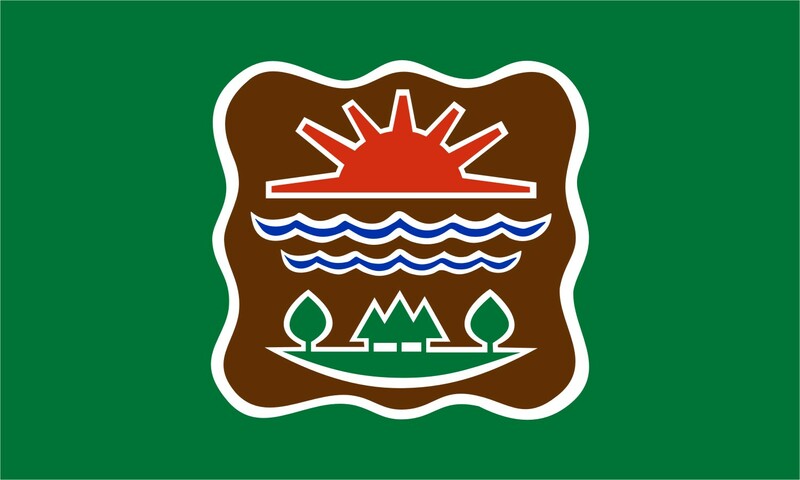 This reminds me of what was voted the worst city flag in North America. 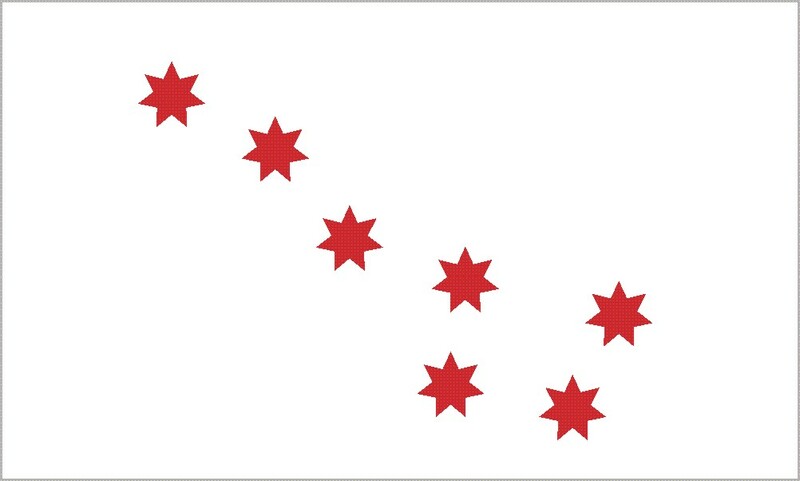 You can make this flag in Microsoft Word. This flag could be cool if it didn’t have all that “in-your-face” text. Another flag that could be cool without the text. Also, is there a reason the imagery is off-center? This is basically a seal within a seal. When will people learn? Lastly, my personal favorite. I just want to know who the model for the profile was. While this kind of looks like a park sign, it’s refreshingly simple and clean. 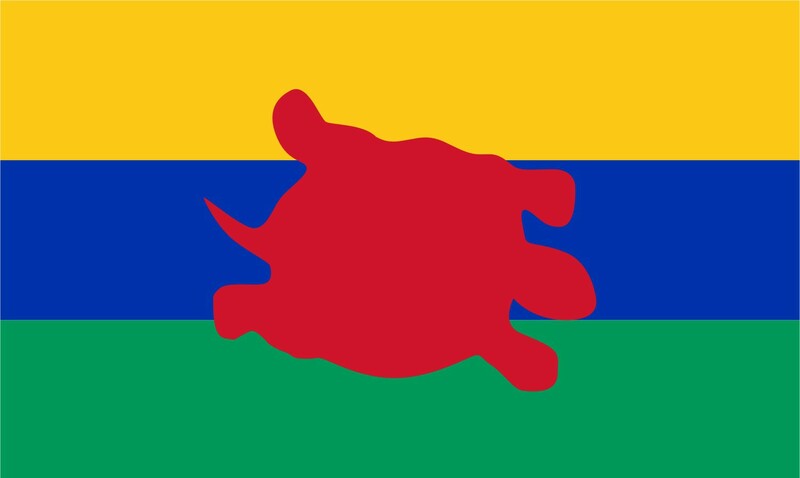 While I wish the turtle was a little more defined (it took me a bit to realize it was a turtle), it’s a colorful and simple yet unique take on a classic triband flag template. 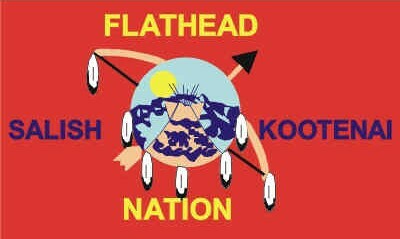 A great take on a flag that is clean, colorful, yet distinctly Native American. 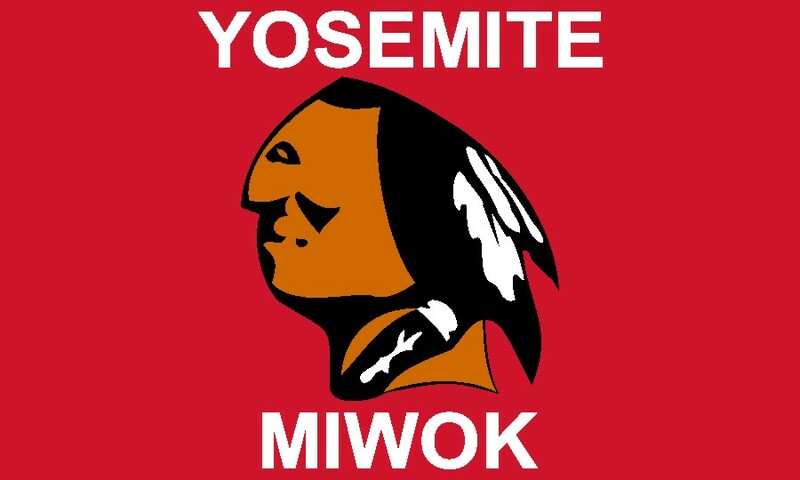 The center symbol is a stylized take on both historic and modern wigwams. The Athabascan people of Alaska used to lead a nomadic lifestyle, represented by the four teepees in the bottom half. The white, wavy line represents the Brooks Mountain range, a major feature in the Athabascan territory. 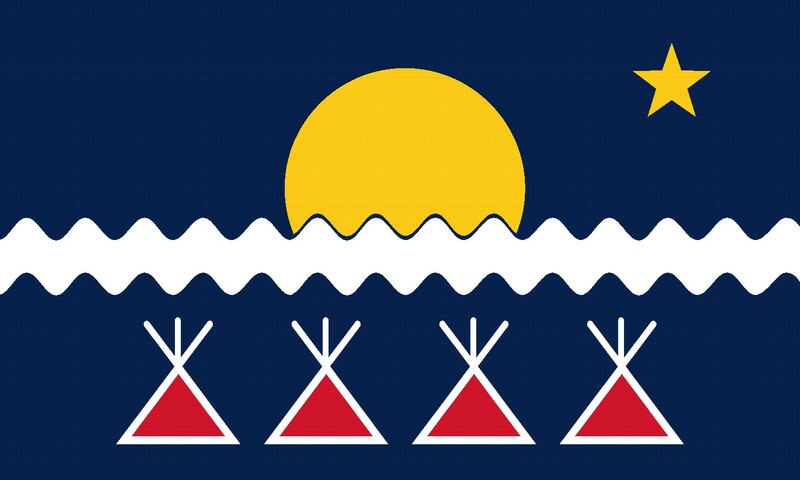 To me, this flag combines some of the best elements of the Colorado and Alaskan flags. 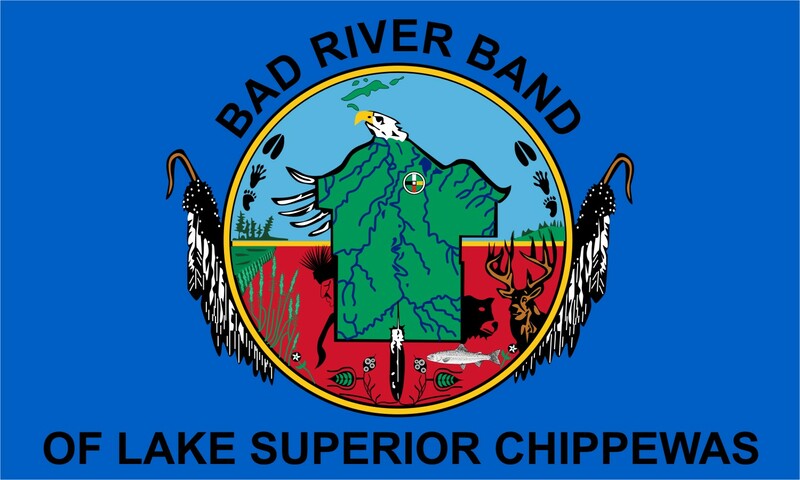 While it’s not the only flag to feature the Big Dipper, it’s still a good flag in my opinion. 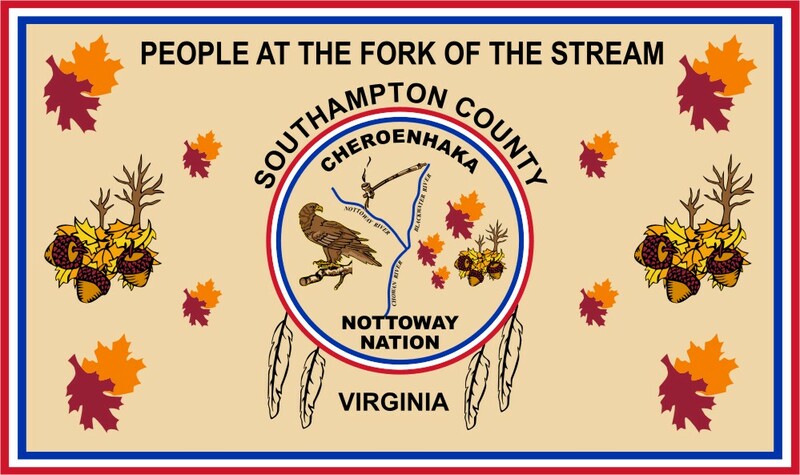 The Cherokee war flag is the same design with the colors inverted. 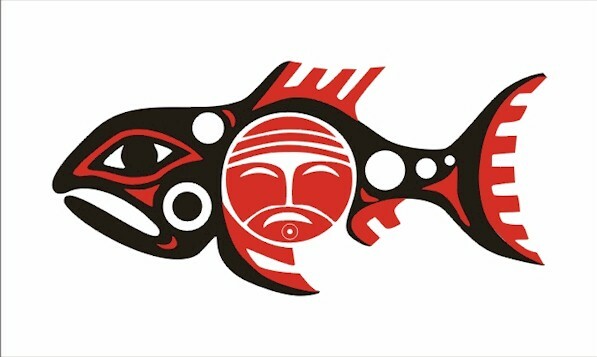 This beautiful flag depicts a salmon in a traditional Chinook artistic style. The Chinook relied heavily on the abundant salmon in the Oregon-Washington area. 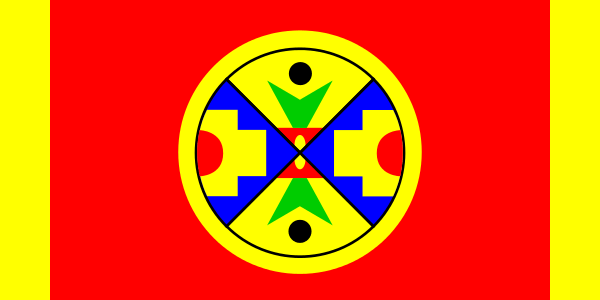 While you might have a difficult time recreating this flag from memory, its simple color palate and unique design is certainly memorable in the best possible way. 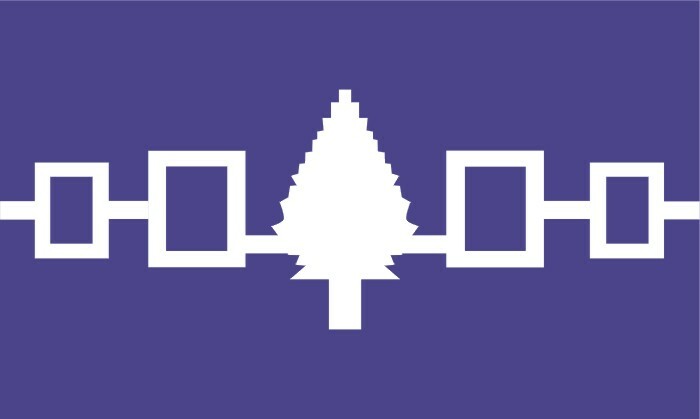 This flag represents the wampum belt of Hiwatha, the Native American leader who helped found the Iriquois confederacy. Each box and the tree all represent one of the five nations of the confederacy. The Jatibonicu Taino people of Puerto Rico knocked this one out of the park. 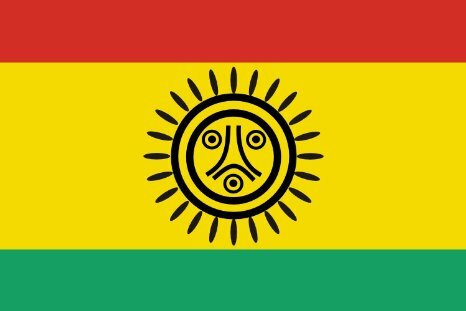 The red represents blood spilled after European contact, the yellow represents “father sun”, and the green represents “mother earth.” The symbol in the center is a complex combination of imagery important to the Jatibonicu people. 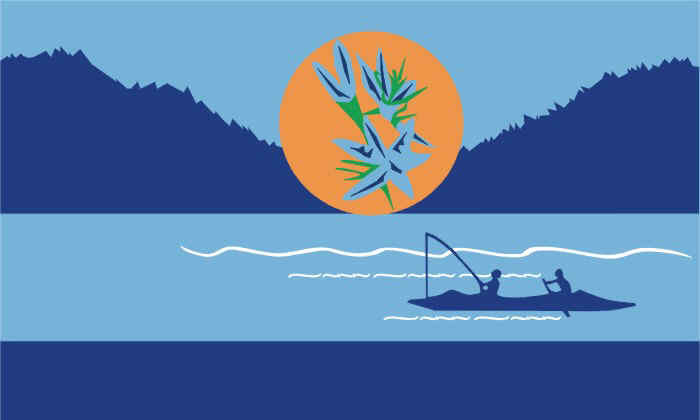 While some of the imagery is a bit too small and complex to be an effective flag, it is still a beautiful design with a great color palate. 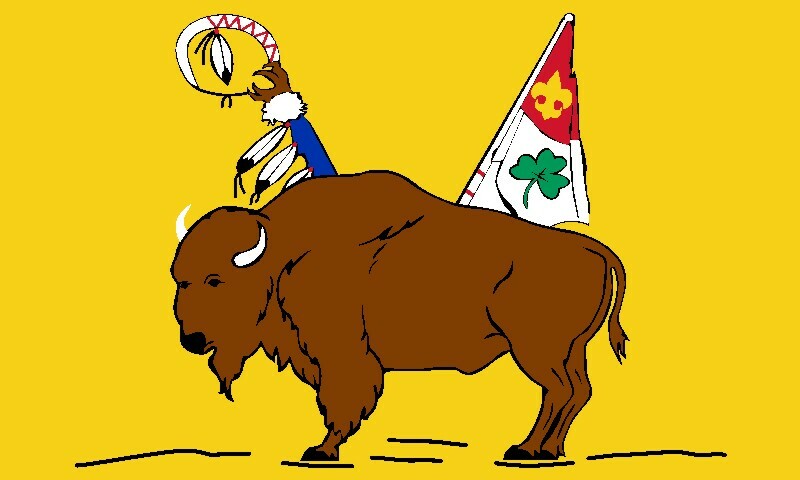 While this flag is a solid design (especially compared with most Native American tribal flags), it really only made my list because I love the American Bison. 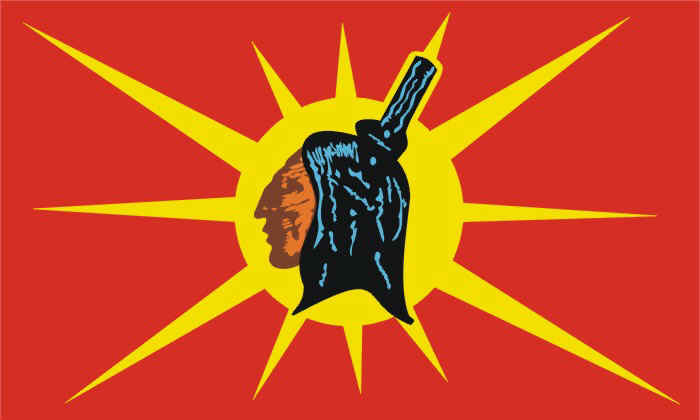 While the overall look of the Native American in profile varies greatly from each individual Mohawk flag, the striking sun design is universal. 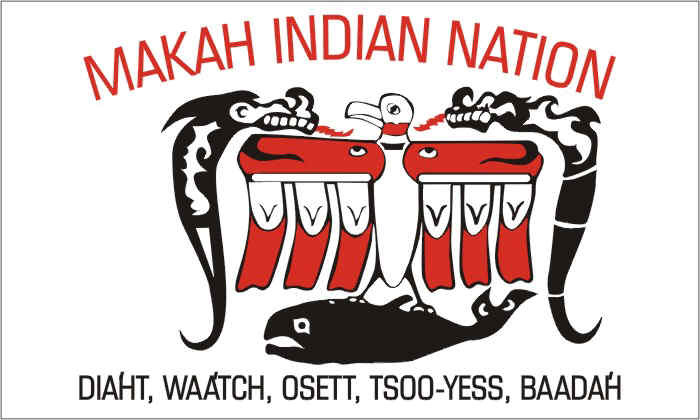 The flag itself is meant to represent not only the continuation of the Mohawk people, but all Native American tribes. 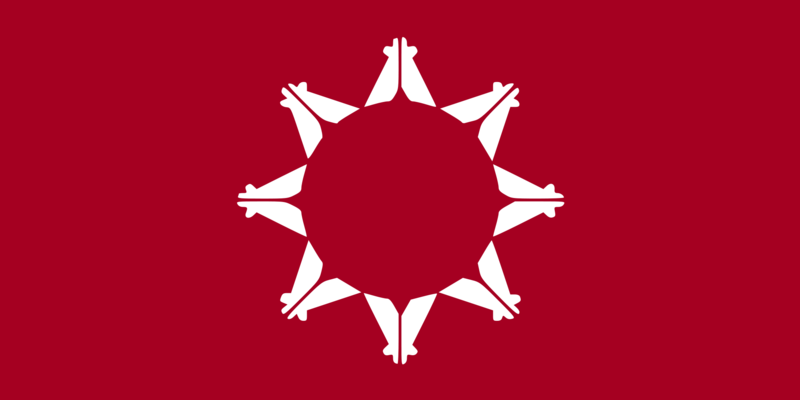 While the symbolism in this flag is simple (the circle of eight teepees represents the eight districts of their reservation), it is laid out in an attractive design. 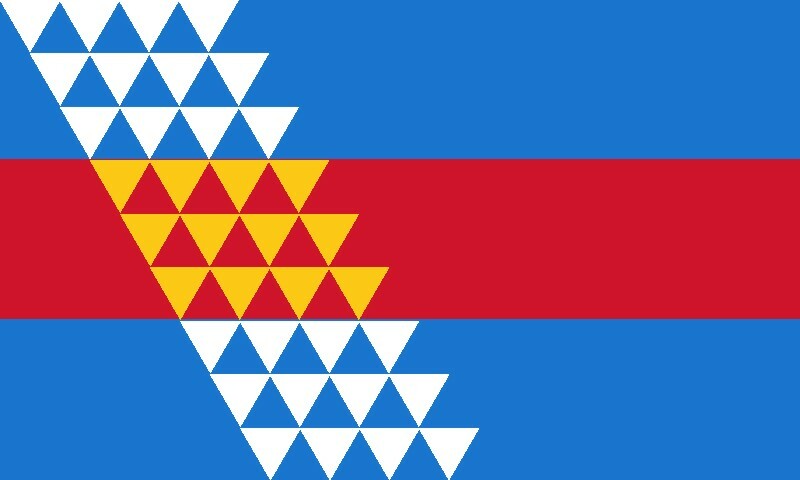 While I wasn’t able to find much information about this flag, I appreciate its quirky design. The Upper Skagit people of Washington are known for their distinctive totem pole carvings. 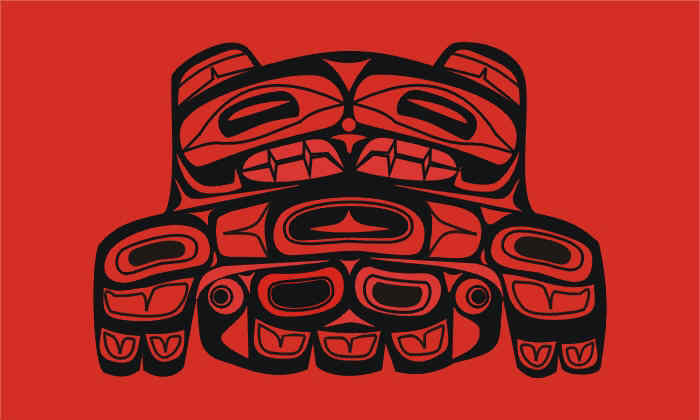 Their flag depicts an eagle in this carving style. The Upper Skagit identify with the eagle as they are both skilled fishers. While this design is quite busy, I love it’s unique and memorable design. 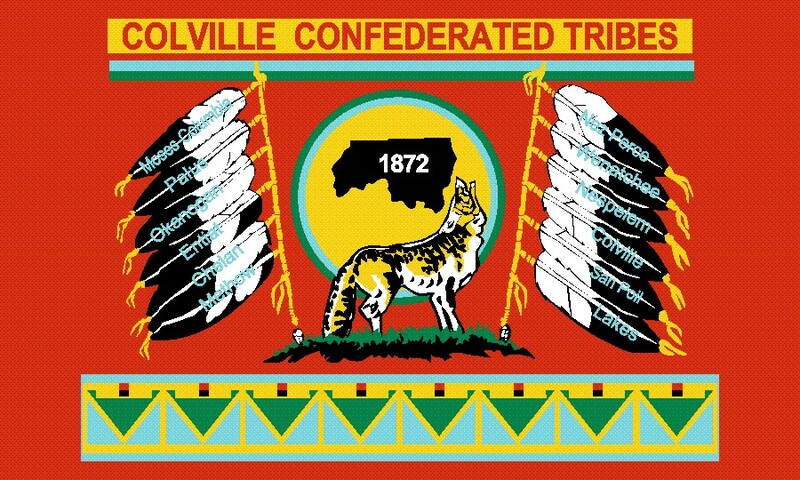 Do you have a favorite Native American flag that didn’t make this list? Let us know in the comments!